"For me," writes John O'Farrell, "being a satirist is about poking fun at the high and mighty, and in theatrical terms, Shakespeare is more revered and untouchable than anyone." 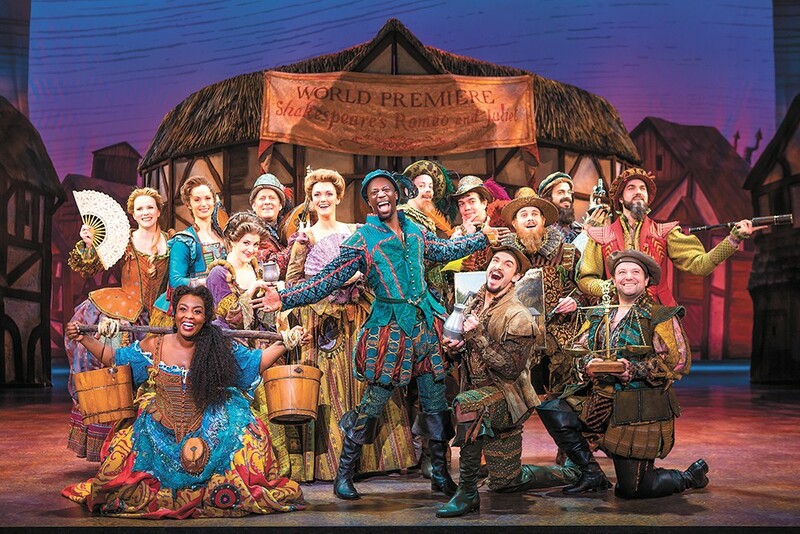 No wonder, then, that the Bard became the natural antagonist in Something Rotten!, the tongue-in-cheek musical comedy that O'Farrell co-wrote alongside brothers Karey and Wayne Kirkpatrick. It sees two fictional brothers, Nick and Nigel Bottom, hatch the idea for the very first musical — titled Omelette, a soothsayer's misreading of Hamlet — back in 1595 as a way to one-up their contemporary and dramaturgical rival, William Shakespeare. "I love the writing of Shakespeare — but there is a certain pomposity to the modern directors and critics who want us to revere him, and it was that that we wanted to prick, to remind people that Shakespeare was a jobbing writer like the rest of us, with all his insecurities and deadlines," O'Farrell writes via email from London. "The second song is called 'God, I Hate Shakespeare!' so I'm not expecting our musical to ever play in Stratford-upon-Avon!" When he finished writing Something Rotten! two years ago, O'Farrell was already an established author, sociopolitical pundit and sometime political candidate, well known in the UK for his regular column in the Guardian as well as his work on topical humor programs like Spitting Image (long before HBO floated the idea of resurrecting the TV show for the Trump presidency earlier this year, its puppets made their most prominent stateside appearance in the music video for Genesis' "Land of Confusion") and Have I Got News for You. "The show has a gentle undertone of political context — the theater is threatened by the ideological zealotry of the Puritans, and we were determined to make our (apparently powerless) women characters have something to fight for. So I'm proud that [Nick Bottom's wife] Bea is such an optimist[ic] 16th-century feminist!" There's even some accidental up-to-the-minute relevance as the show "keeps changing, not just in location but in relation to the outside world," O'Farrell writes. A punch line about Nazis is delighting audiences in the age of Trump. "There's a line in the show when Nostradamus is foreseeing The Sound of Music, and when he mentions Nazis, Nick says, 'Just a moment, are these 'Nazis' good guys or bad guys?' And the soothsayer says, 'Not sure, but it feels important to get that one right!' For two and a half years that line was getting a decent enough laugh," O'Farrell writes. "But then came Charlottesville and Trump's reaction to it, and suddenly we had a topical joke, and now the show was stopping and people were standing and applauding and cheering — and I just loved that! That these characters in Tudor England have something to say about America in 2017." 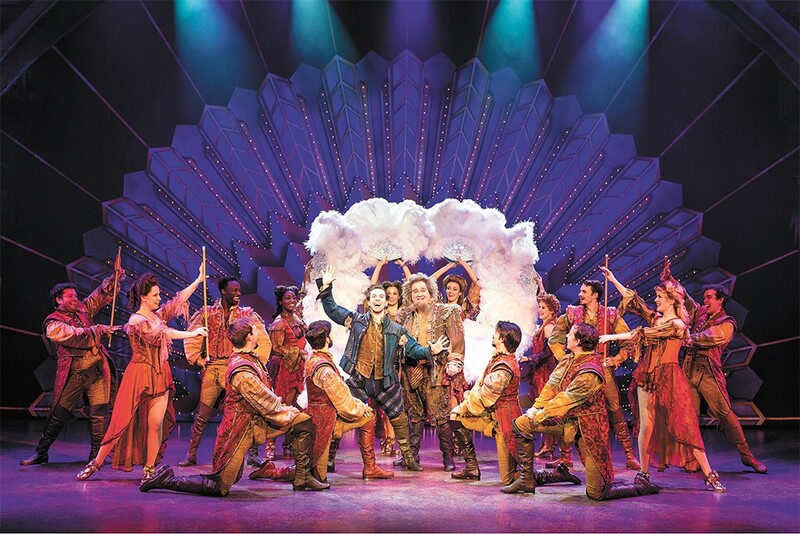 Despite living across the Atlantic, O'Farrell knows that line is getting guffaws and ovations because he's been following audience reaction to Something Rotten! like a concerned parent ever since the musical entered the preview phase. Writing about the show's genesis in a piece for the Guardian in 2015, he talked about the "thrilling and terrifying" experience of subjecting his creation to the whims of a live audience. And when the show comes to the INB Performing Arts Center on Oct. 3 for a five-day run, it's almost certain that he'll be sent a recap of which songs and one-liners resonated with Spokane audiences.